February 20, 1821, the first movement that was made to locate a county seat for Greene County was the meeting of the commissioners appointed by the Illinois General Assembly. These men met at the residence of Isaac Pruitt, who was one of the most substantial members of the area. He had entered land a few miles west of the current day Carrollton, and built a log cabin near the present position of the Margaret Black Historic site. Then after some debate as to the location, they rode to the land of Thomas Carlin. After some consultation, it soon became evident that the commissioners were unanimous that the court house should be built on the land of Mr. Carlin. Thomas Carlin was born near Shelbyville, Kentucky in 1786. In 1803 the family moved to Missouri where his father died. Thomas Carlin served as a ranger during the War of 1812. In 1814 he owned a ferry crossing the Mississippi near the present site of Edwardsville Junction with his brothers James and William Carlin 1814. Thomas A. Carlin was a Captain in the Illinois Militia during the Black Hawk War. 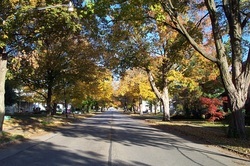 In the spring of 1819, he came to the Carrollton area with his mother and step father, and camped under a large tree in the southern part of what is now the town site. Determined to make this his home he built a log cabin about ½ mile south of the Square. 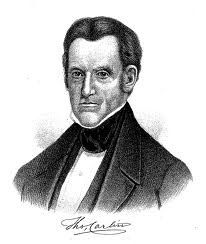 He was elected the 6th governor of Illinois on Dec. 7, 1838, and served as Governor from 1838 – 1842. The commissioners were standing near the east side of the present square when they reached this decision. Whereupon, John Allen paces 50 yards to the west, drove a stake, and said, “here let the court house be built.” And so it was decided. The town was laid out, and named in honor of Charles Carroll, of Carrollton, MD. At this time there was not a house upon the site of the town. The town was surveyed on the 13th of March 1821 but was not filed for record until July 30, 1825. Thomas Carlin offered Jacob Fry, a lot in Carrollton if he would build a house, which he did. Gen. Fry came to Carrollton and cut the timbers, split the boards and put up a house, which stood for some 57 years, and for a long time formed a part of the St. James Hotel. Before Gen. Fry had finished building he stopped work to help Thomas Rattan in the building of his log cabin, upon the north west corner of the square. On May 1, 1821 Thomas Rattan was granted a license for a tavern, to be kept in Carrollton. It was ordered that the following rates for tavern keepers be: Each Meal 25cents Lodging in a bed 12 cents Feeding and Keeping a horse 37 ½ Cents French Brandy ½ Pint 50 Cents Gin or Rum ½ Pint 25 Cents Apple Brandy ½ Pint 18 ¾ Cents Cherry Bounce ½ Pint 18 ¾ Cents Whiskey ½ Pint 12 Cents Thomas Rattan’s building was the first finished in the new town and Fry’s second. On June 13, 1821 at a special meeting of the County Commissioners William and Thomas Finley were to build a court house for the sum of $380. The following September, a contract was entered into with Thomas Rattan for the production of a chimney to the courthouse for $55. He was to have 6,000 bricks delivered to him by Mr. Eldred. The building was finished by June 1, 1822 and the third building built in town. In December 1821 a contract was also let to John Dee and Henry Teagarden, to build a hewn log jail, a little west of the courthouse. On the east side of the square, on the north end, was erected the first store in town. This was opened by a party from Edwardsville by the name of Pogue, who hired John Skidmore as manager. Samuel Lee erected a dwelling on the north side of the square, where he boarded with John Skidmore, and his sister in law Miss Faust, Mr. Lee later married. This was a small frame building with a portico in front. Before the house could be completed Mr. Lee died in September 1829 and it was known afterward as the haunted house. Lee’s will directed that the house be finished for the use of his wife. In April 1831 Mrs. Lee marries Edward Baker, a young lawyer, moves to Springfield, and becomes friends with Abraham Lincoln. At Lincoln’s inauguration in March 1861, Baker made the shortest speech of his life with these words, “Fellow citizens, I introduce to you Abraham Lincoln, the President-Elect of the United States. In 1836 Baker sold the house to Orange Heaton. Again on March 2nd of 1830 the subject came about again to build a more substantial courthouse, in the center of the public square. A contract was entered into with Thomas Rattan to build a brick court house, who agreed to finish and deliver it to the county, except paint, for the sum of $7000 to be paid to him in yearly installments of $1000. The Tavern House was built on the west side of the square in 1832 by James Reno, father of Major Marcus Reno. The name was changed to the Hinton House in 1850 when Judge Alfred Hinton bought it for a combined hotel, tavern, general store, stage coach stop, and drug store. One of the most famous patrons was Abraham Lincoln. From 1890 to 1896 this building was known as the Bassam House and was one of the finest hotels in Carrollton. From 1896 to 1900 it was known as the Westside House In 1882 a fire proof section was added to the courthouse housing the Circuit Clerk and the County Clerk’s Offices. In 1890, the 1832 portion of the courthouse was torn down and work began on the new building. 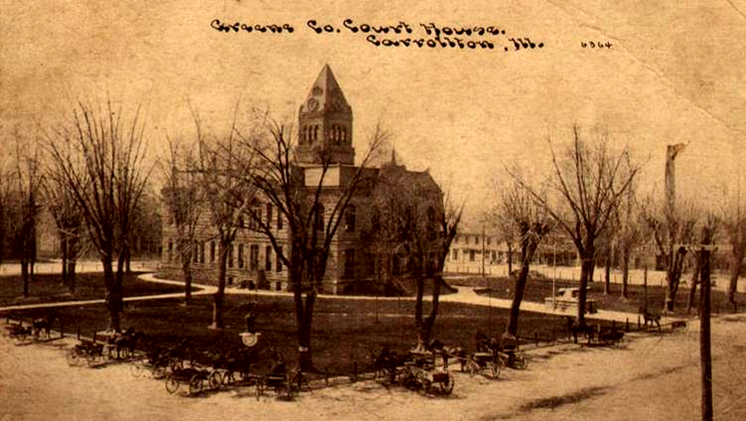 In 1891, the corner stone for the present courthouse was laid. The contract was awarded to Frederick W. Menske of Quincy for the bid of $39,700. The new building was completed in March of 1892. The exterior walls are 8-inch thick Berea sandstone against brick on a foundation of native limestone. The total thickness of the walls is 20 inches. In July of 1893, a clock was purchased for the tower. 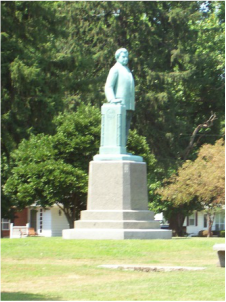 RAINEY, Henry Thomas, a Representative from Illinois; born in Carrollton, Greene County, Ill., on August 20, 1860; attended the public schools and Knox Academy and Knox College, Galesburg, Illinois. He graduated from Amherst (Mass.) College in 1883 and from the Union College of Law, Chicago, Ill., in 1885 and was admitted to the bar in 1885 and commenced practice in Carrollton, Ill. As a master in chancery for Greene County, Ill., from 1887 to 1895, when he resigned, he was elected as a Democrat to the Fifty-eighth and to the eight succeeding Congresses (March 4, 1903-March 3, 1921). He unsuccessfully contested the election of Guy L. Shaw to the Sixty-seventh Congress and engaged in agricultural pursuits and was then elected to the Sixty-eighth and to the five succeeding Congresses and served from March 4, 1923, until his death. Majority leader (Seventy-second Congress), Speaker of the House of Representatives (Seventy-third Congress). 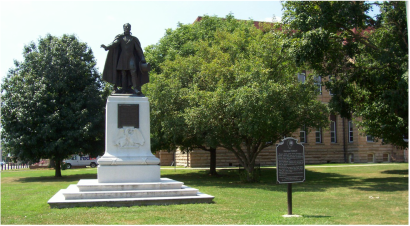 He died in St. Louis, Mo., on August 19, 1934; and was buried in the Carrollton Cemetery, Carrollton, Ill.
Pictured Above: The founder of Carrollton- Thomas Carlin, was the Governor of Illinois from 1838-1842. For additional information on our founder, click here.